"We didn’t even get time to celebrate the birth of our son, within an hour he was transferred to NICU"
2.3 years old Adib’s parents were overjoyed when they got to know about him coming to the earth. His father was eagerly waiting outside the labor room to see his face for the first time. Little did he know that the good news will come with so many complications. Adib was born with attached wind pipe and food pipe. 1.8 kg Adib was transferred to NICU within an hour of his birth. Doctors suggested undergoing a surgery. His surgery was successful and after being in a hospital for around a month Adib finally came home for the first time. Only when Abdul could slowly feel the sense of relief his son was feeling sick again. “We thought it might be some post-surgery syndrome. We traveled from one hospital to another. After doing a list of X-rays and ECG we came to know our son was also born with a hole in his heart. My world came to an end. I didn’t know what to do." 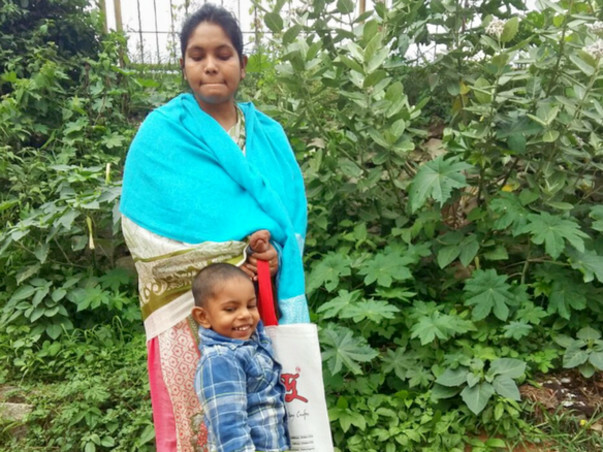 None of the doctors in Bangladesh was ready to do an open-heart surgery for Adib. 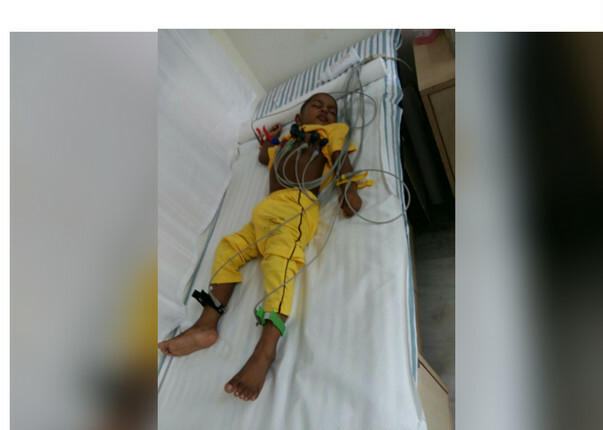 After moving around in many hospitals, they decided to bring him to India for treatment. Making passport for a daily waged laborer is a big thing in itself. Doctors said Adib is not healthy enough for the surgery. Only after some medication for 6 months, he can undergo this massive surgery. 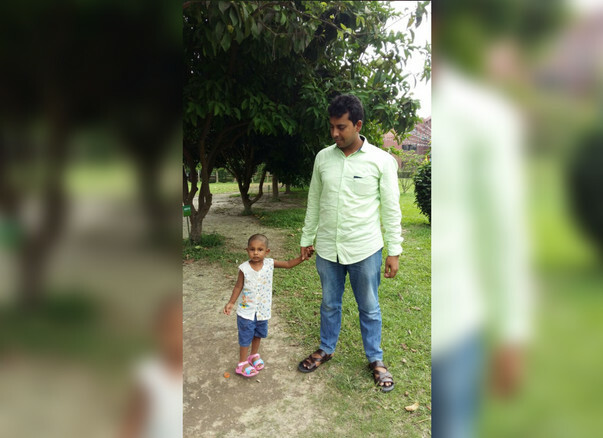 At this point, his father was helpless but ready to do anything to save him. 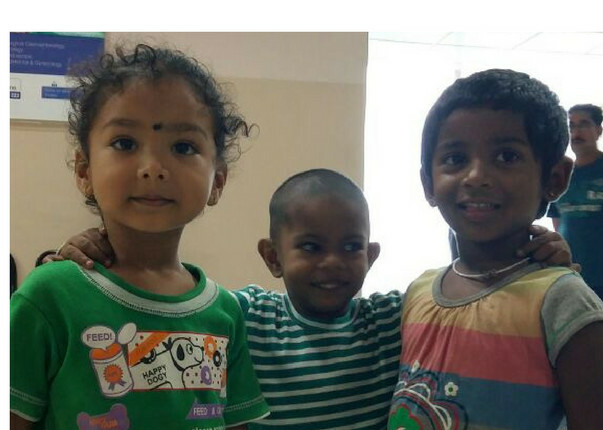 They followed all the instructions and after 6 months came back to India for the open-heart-surgery. Baby Adib survived this surgery as well. They returned back home feeling the darkness of sorrow is finally gone but the happiness was very short lived. Food is like punishment for Adib. We have to literally force food down his throat but he vomits everything out with blood. Few days went in peace for the family and slowly when life was getting back on track, Adib’s mother noticed that he cannot have solid food. His condition turned out so bad with that eventually he started puking blood the moment food enters his body. Local doctors diagnosed that because of wrong operation on the very second day of birth his food pipe has shrunk and food cannot pass through it. The tragedy doesn’t end here. The worst part was the treatment was not possible there and he had no option but travel back to India. Abdul is a daily waged laborer. His wife, brother, and sister dependent on him. 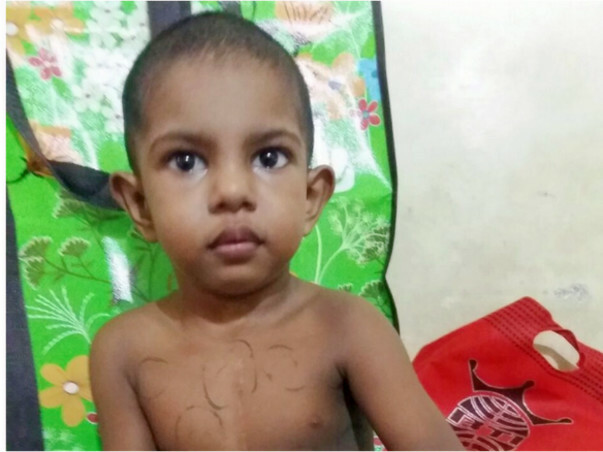 He had already spent 52 lakhs on Adib’s first operation and 2.1 lakh in the open-heart-surgery. ” We have absolutely no resources in our hand. We have taken loans from every one known to us. Our resources are drained out. I don’t get salary most of the days as I have to bunk work and take Adib for treatment”. 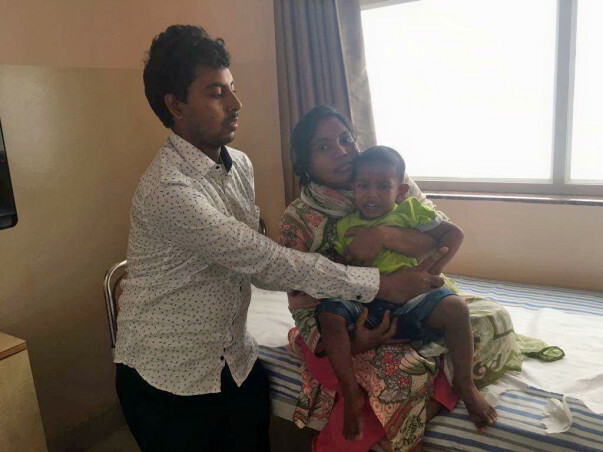 Doctors in Bangalore started his treatment right away but after 3 settings of dilatation, they realized that his body is not responding to the treatment. 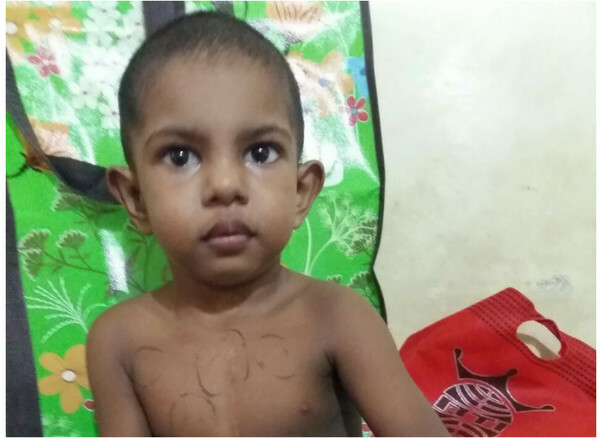 Now the only option left for Adib’s survival is an Esophageal Surgery. The cost of which is 3.2 lakhs. He is totally drained out financially and in no way, afford another 3 lakhs.dialation they realized that his body is not responding to the treatment. 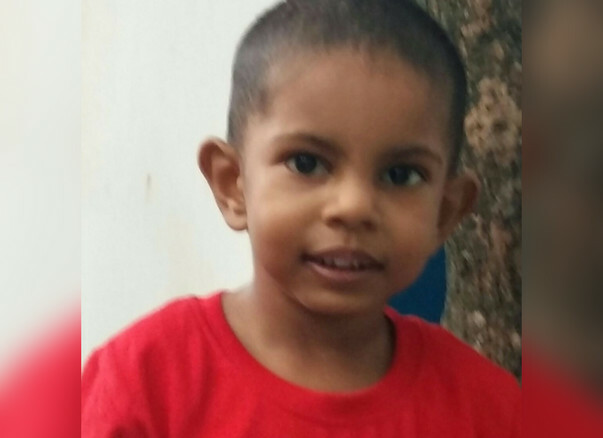 Now the only option left for Adib’s survival is an Esophageal Surgery. The cost of which is 3.2 lakhs. He is totally drained out financially and in no way, afford another 3 lakhs. Adib needs your support. He has gone through a lot of pain in the 2.5 years of life. For him, life is all about suffering and painful hospital visits. For a child who has not even learned to speak properly his pain is too much to bear. He deserves a healthy life. 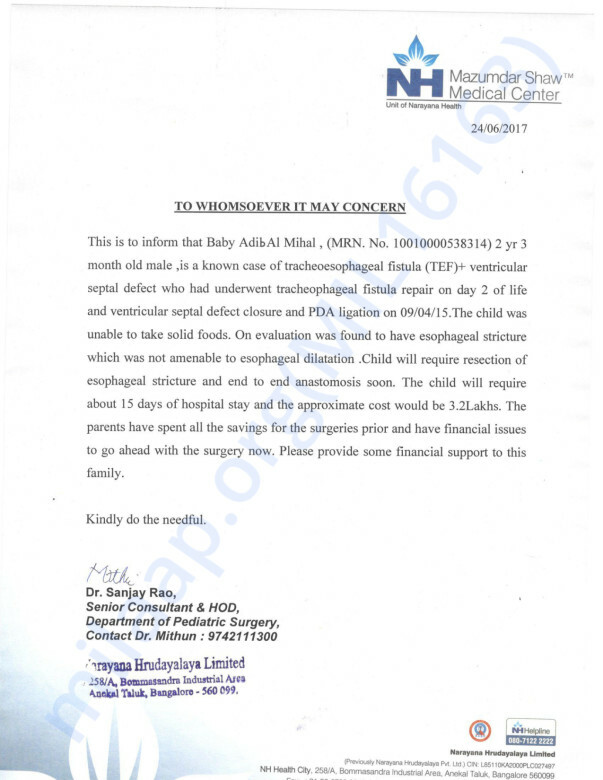 With your help can undergo the surgery and put an end to his sufferings.